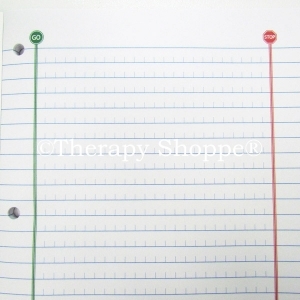 Here's an excellent notebook for students with visual perceptual motor challenges. 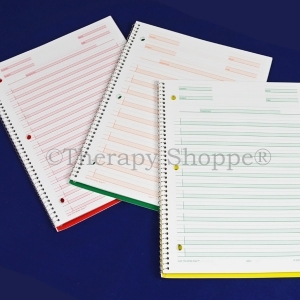 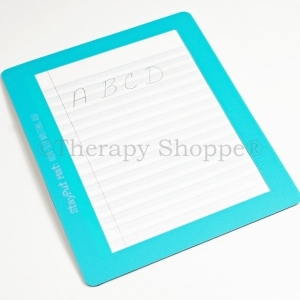 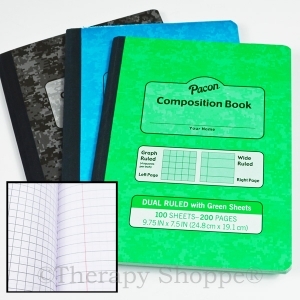 Notebooks With Shaded Lines are a standard-looking notebook with alternating-color shaded lines (every other line is light blue) that provides a subtle visual cue that helps students stay on and in-between the lines when writing. 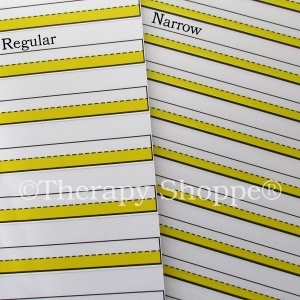 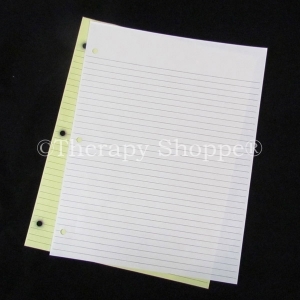 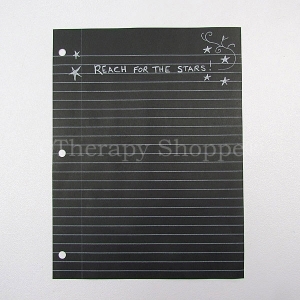 These one-of-a-kind 80-sheet spiral wirebound notebooks measure 10-1/2"x8" and have narrow-rule lines. 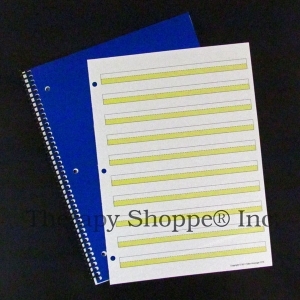 Sold individually or in 4-packs. 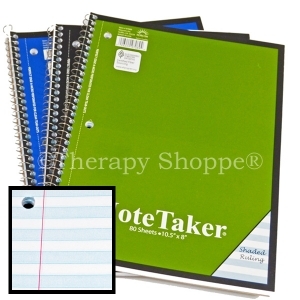 A great writing tool for high school and college students!